A successful challenge to George Osborne’s ground breaking buy-to-let tax - which is central to his Government’s strategy to grow home-ownership, help the young buy property, and institutionalise ownership of UK rental property – would be highly embarrassing. Imposing a block, spearheaded by Mrs Blair, wife of the former Labour PM, using European human rights legislation, could be doubly embarrassing, given that one of the main thrusts of Mr Cameron’s EU renegotiation tactics is to remove some of the EU human rights influence. Cherie Blair QC is claiming that increasing taxes on buy-to-let investments in the way the Government proposes breaches landlords’ human rights in a letter sent to HMRC and reported by The Daily Telegraph. Mrs Blair’s law firm Omnia Strategy has set out the legal grounds on which it hopes to quash the controversial tax in court. The tax on landlords, included in the Finance Act 2015, will reduce – on sliding scale over 4 years – the amount of mortgage interest small-scale landlords can deduct from their rental income before calculating a taxable profit. It is said it will represent a net benefit to the Exchequer of nearly £1bn per year by 2021, that’s according to official Treasury forecasts. The growth of buy-to-let over the last fifteen to twenty years means that a high proportion of the housing market is now in rentals, thought to represent nearly 20% and growing to 25% on current trends over the next 10 years. Mr Osborne’s stance has been to “level the playing field” between homeowners and this rapidly growing army of buy-to-let investors, making home ownership, a stated Conservative policy, more attainable for the young. The nub of the challenge is that the Chancellor’s tax policy discriminates against individual buy-to-let investors by denying them the same rights as other business owners. This includes corporate landlords (those whose properties are held within a company), and larger investors such as pension funds and insurance companies, who can continue to “set their finance costs off against their income and be taxed only on their profit”. The case, although fronted by Mrs Blair’s firm is being brought by two private landlords, Steve Bolton and Chris Cooper and “cloud” funded by a group of 737 individuals, including other landlords and letting agents. Mr Bolton is founder of Platinum Property Partners, an investment franchise with 250 landlords owning between them more than 700 properties. Mr Cooper is owner of 15 buy-to-let properties and works full-time as a member of an airline cabin crew. “On the face of it the measures seem reasonable and the Government has presented it as if it will only affect the wealthiest landlords. “The opposite is true, because it will affect landlords who have big mortgages. Very wealthy landlords who don’t have to borrow won’t be touched. An anomaly arises with the proposed tax as the complex way it is calculated means that some landlords will be taxed even when they make losses. “the measure will result in some landlords being liable to tax on an economic loss due to a theoretical, if not actual, increase in income”. Mr Cooper believes that those landlords with mortgages will be either forced to increase rents or evict their tenants and sell. It has been pointed out that Mrs Blair’s has a personal interest in the issue given the large amount of rental property the couple and their children own. 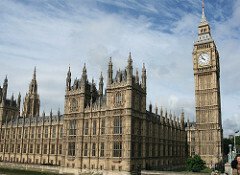 A landlords’ petition against the tax law has failed to reach the required 100,000 to force a debate in Parliament. Just over 60,000 people signed the Parliament petition urging MPs to reconsider the controversial buy to let tax. The petition fairly quickly got 10,000 signatures which was enough to oblige the government to submit a stock response justifying its policy, but the 100,000 was required by the end of January 2016 required to force a debate by MPs has proved elusive.